Buy an Autographed 1st Edition of the C.B. 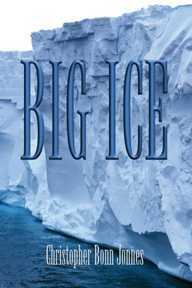 Jonnes suspense novel, BIG ICE. 2) Mail a check or money order for $17.95 (+6.5% sales tax in Minnesota) made out to the author and mailed to the Stillwater, MN address below. Be sure to include your complete mailing address and any requests for "personalizing" the book. Your payment covers all shipping and handling. Each book is individually signed and dated by C.B. Jonnes. Be sure to specify BIG ICE or WAKE UP DEAD. Get a 1st edition while supplies last. You can also order your book unsigned (for about the same cost) from many other booksellers. Sorry, price applies to destinations within the United States & Canada only. E-mail the author for specific International Prices.